The holidays are supposed to be magical and fun—a happy time to build spectacular, long-lasting memories with family. 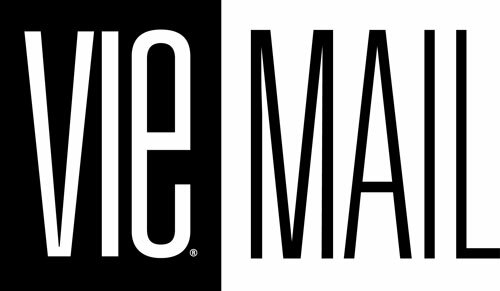 However, it seems like most of us are familiar with the hectic and chaotic time crunch leading up to the holidays either with work or trying to plan how to split your time between family and friends. The idea of Christmas getaways and starting your own tradition might sound more and more enticing this year, but the question is where to go? If seeing is believing, then this is your stop! It’s not called “Christmas Town USA” without good reason. 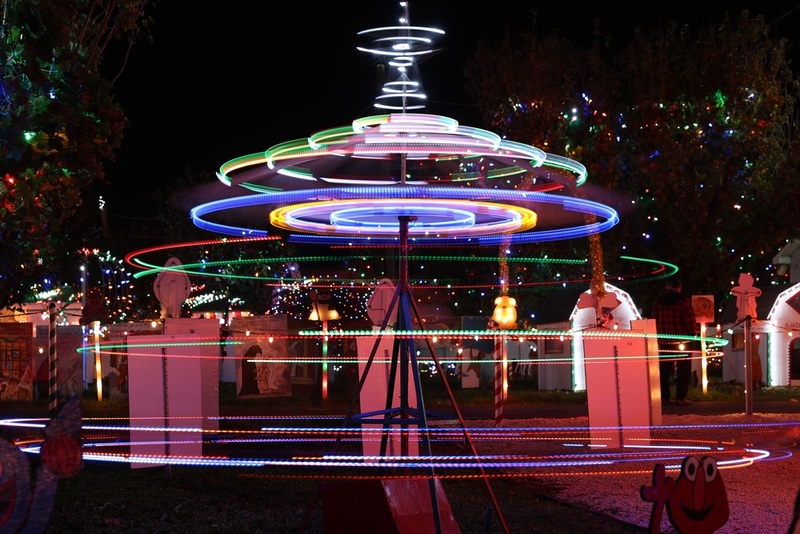 Come December 1, the city of McAdenville, North Carolina, transforms into a winter wonderland. 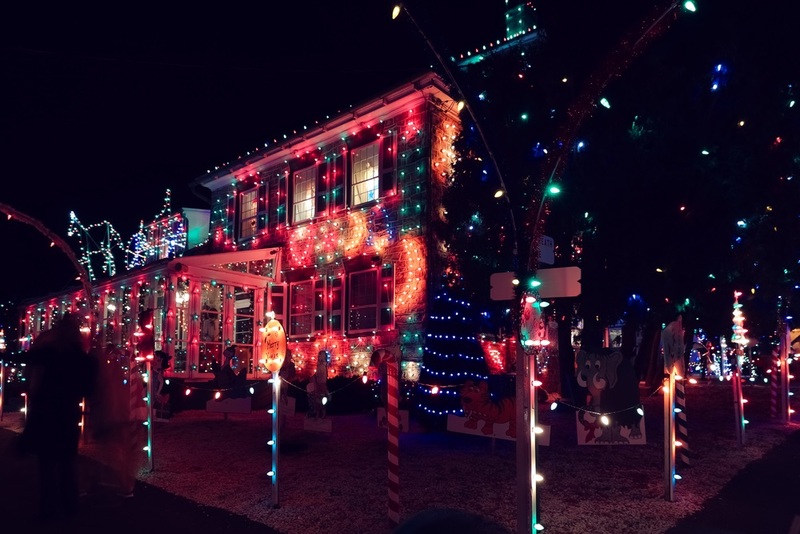 From nightly light displays to their annual Christmas Town Festival and Christmas shops, there isn’t a place that captures the holiday spirit as much as McAdenville. If you stopped believing in Santa, it’s time to believe again. The North Pole does exist, and you can find it in Alaska! Now, you and your family can meet Santa in his own home, which has an uncanny resemblance to our favorite red-and-white Christmas candy canes. Traveling to the North Pole doesn’t require a flying reindeer; it’s a short drive down Highway 2 from Fairbanks. The streets have names like Kris Kringle Drive and Mistletoe Lane, and visitors can tour the Santa Claus House and take photos with the North Pole itself. Did we mention it’s this festive all year long? Driving through the town of Bernville, Pennsylvania, during December might have you double checking your GPS. Decked out in bright lights and Christmas decor, you’ll be convinced you’re driving through Santa’s secret workshop in the North Pole. Dubbed “Christmas Village,” Bernville captures that traditional spirit of the holidays that leaves you with a happy and warm feeling, no matter how cold it might be outside. A blast from the past! Spending the holidays in Nevada City, California, is like traveling back in time—not because of the historic town, but because during December, the streets are overflowing with authentic Christmas treasures from miles of street vendors in the most beautiful setting of twinkling white lights and genuine gas lamps. Christmas carols can be heard for miles around, and the enticing aroma of roasted chestnuts fills the air. Can you smell them already? 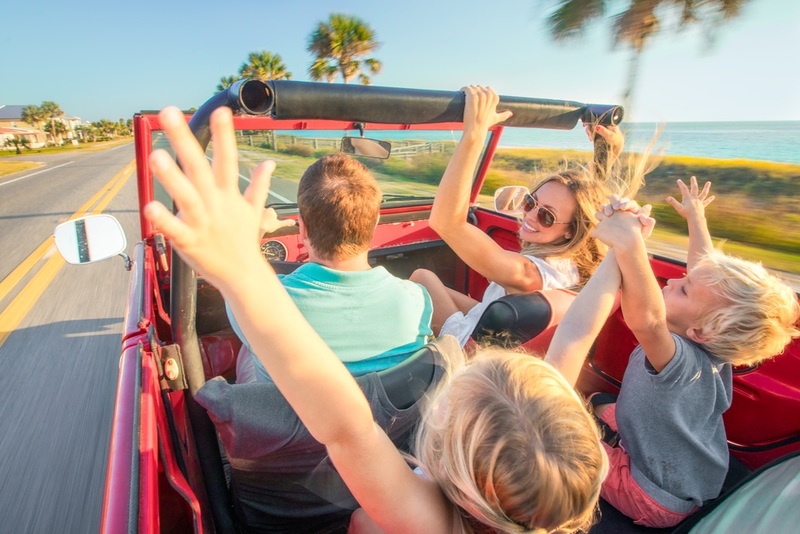 It might not be white with snow, but we guarantee you’ll still be able to enjoy a white Christmas in Mexico Beach, Florida, with just as much fun. 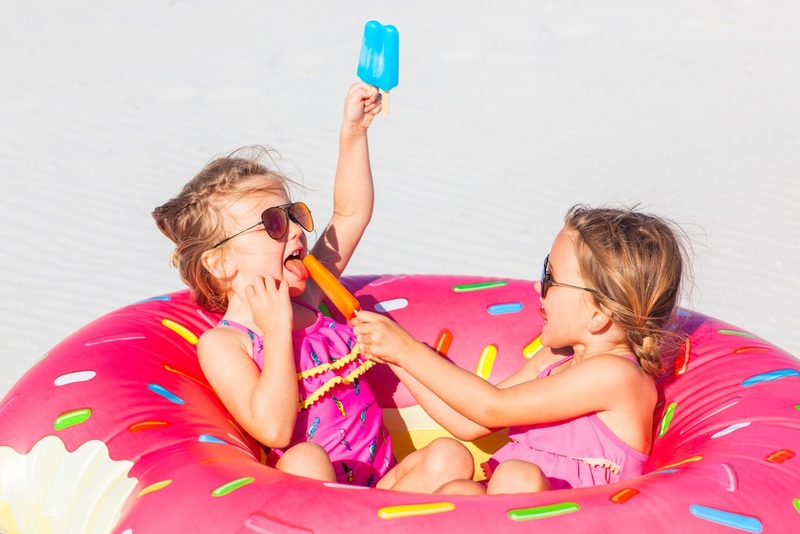 A vacation with a view, enjoy the sight of sugary-white sand coastline against the Gulf of Mexico. 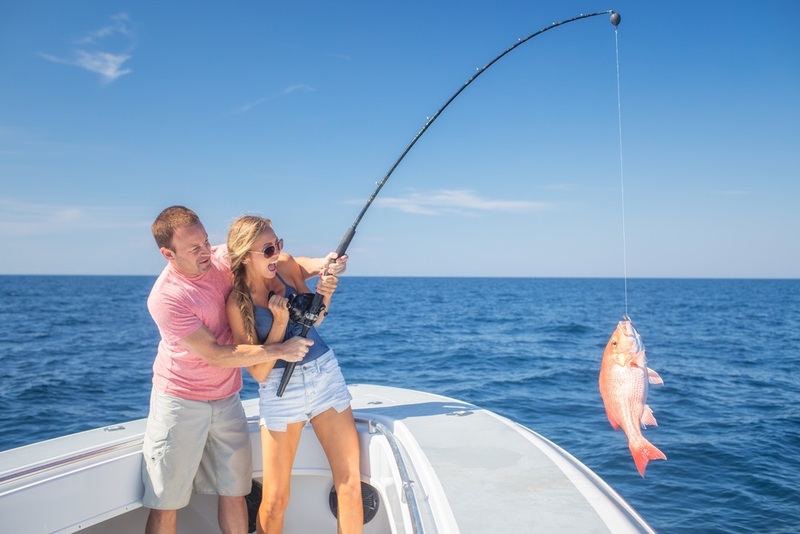 Unlike any other beaches in the world, Mexico Beach is a unique family-friendly place that lets you embrace its small-town Florida culture, allowing yourself to truly enjoy your company for an unforgettable time. 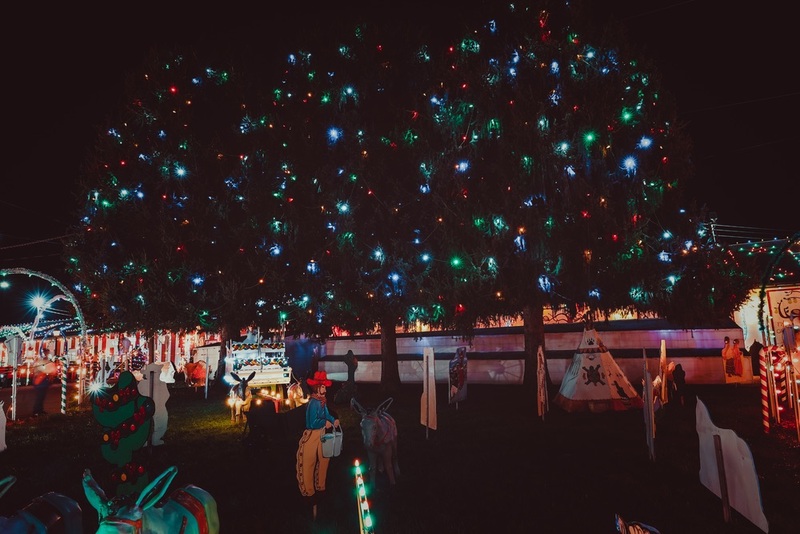 The annual tree lighting ceremony and golf cart parade are fun traditions, along with the chance to see Santa relaxing on the beach December 26. See why it’s known as The Unforgettable Coast when you visit MexicoBeach.com. Looking for a holiday vacation with a more modern spark and all the amenities you could ask for? Boasting 450 places to shop and dine in one square mile, the historic neighborhood of Georgetown in Washington, D.C., will fulfill your vacation and Christmas dreams. From December 2 to January 1, Georgetown runs a month-long exhibition of innovative light-art installations throughout the neighborhood, known as the Georgetown GLOW. 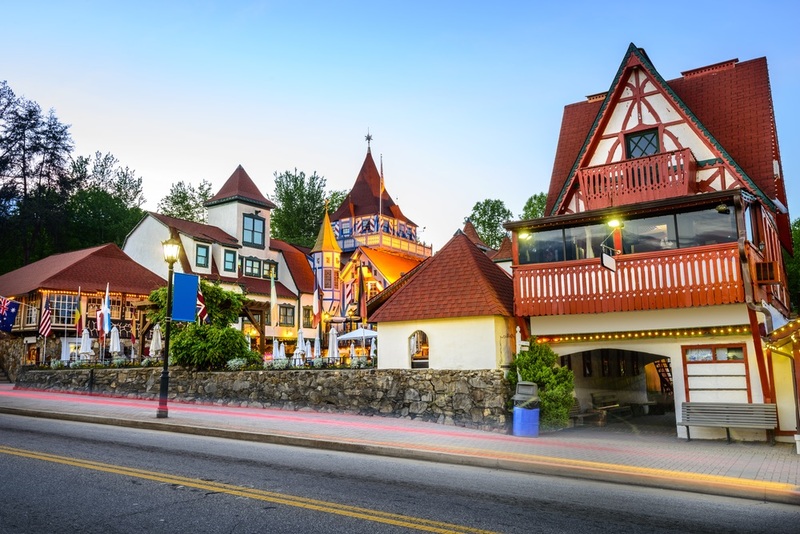 Visit Germany in Helen, Georgia! 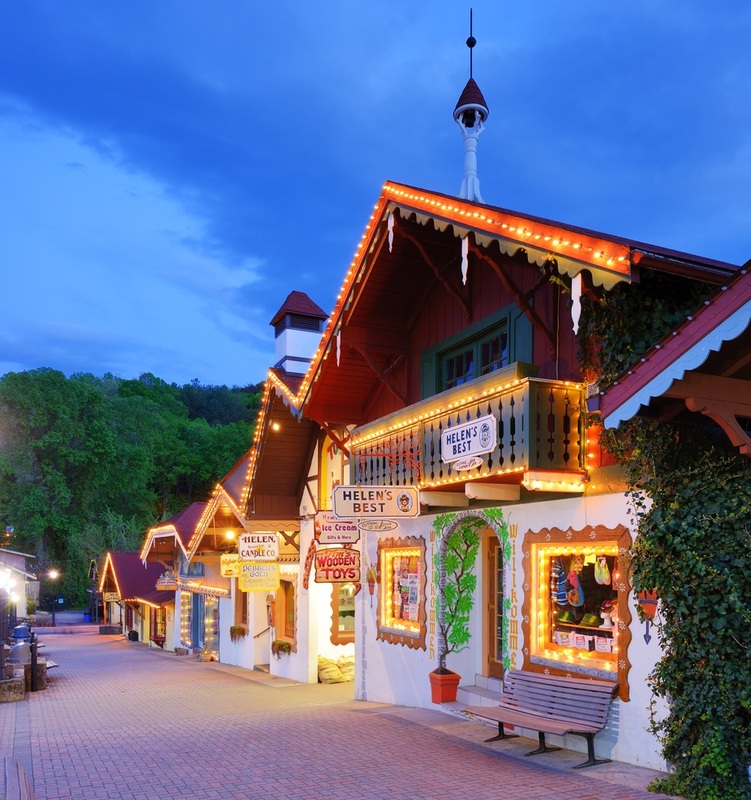 Every knows the famous Christmas markets in Deutschland are a wonder to behold, but for those in the USA, get a taste of it in this small village in Georgia with shopping, parades, lights, and, of course, bier! While the Christmas season officially starts the day after Thanksgiving in America, the German town embraces its heritage and traditions, which means the season kicks off the first Sunday of Advent. Once it starts, it’s on! You won’t be hearing “Bah, humbug” while you’re celebrating the holidays in Zoar, Ohio. Welcome to a place of merriness. Even Michiganders are warmly welcomed! 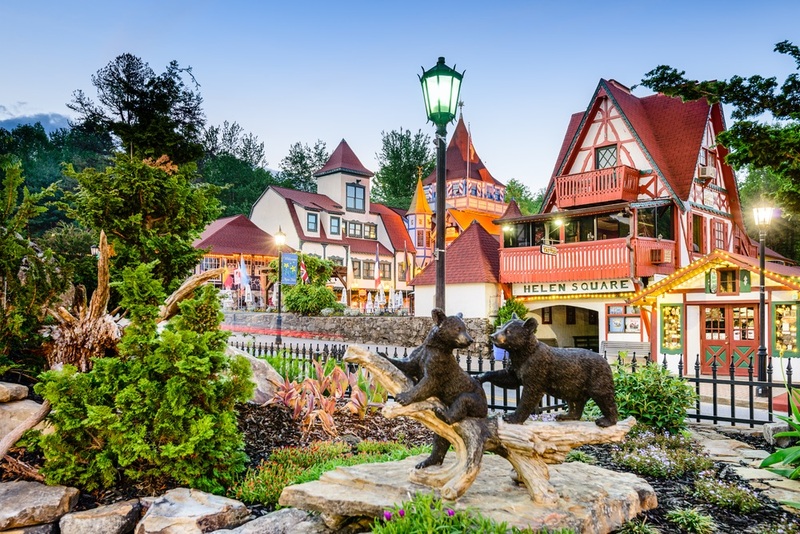 Zoar might be a small town, but it oozes charm, and Christmas getaways here are sure to be remembered. Adorned with festive lights and friendly smiles from the city’s citizens, this place will remind you of your childhood memories. With plenty of shopping and activities such as riding through town in a horse and buggy, spending the holidays here is anything but boring. No, it’s not a movie set for a live-action Polar Express. This is a real destination that takes advantage of its local steam-engine train and scenic surroundings to deliver a spectacular Christmas experience. 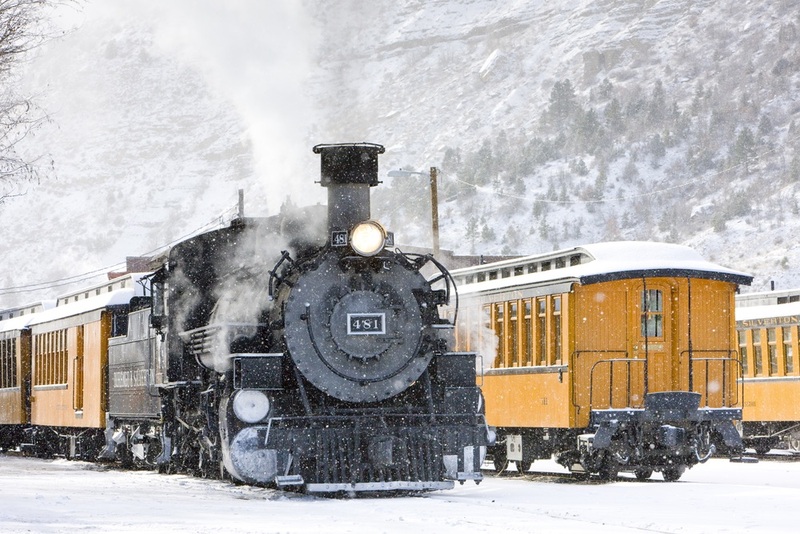 Though the Durango & Silverton train has a year-round operating schedule, but during December, it runs a Polar Express-inspired trip for kids and for weekend Christmas Tree runs, during which passengers can cut down their own tree and have it transported back to town. Sometimes gems are found in the most random places. Branson, Missouri, is known for being breathtakingly beautiful; but during Christmastime, it’s pure magic. Be prepared to be stunned. Dressed in five million lights, a five-story special effects Christmas tree, and the Holly Jolly Christmas Light Parade, Branson has enough holiday spirit to brighten anyone’s night (metaphorically and literally). They’ve got everything for a jam-packed (or in this case, Christmas-packed) getaway. 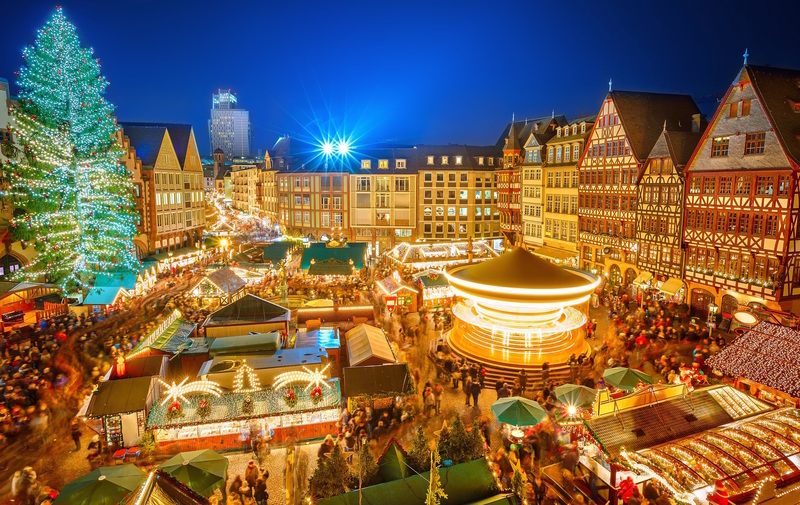 With any of these spectacular Christmas getaways, you can’t go wrong! Each will surely bring you a magical and spirited vacation full of happy memories. Happy Holidays from all of us at VIE!